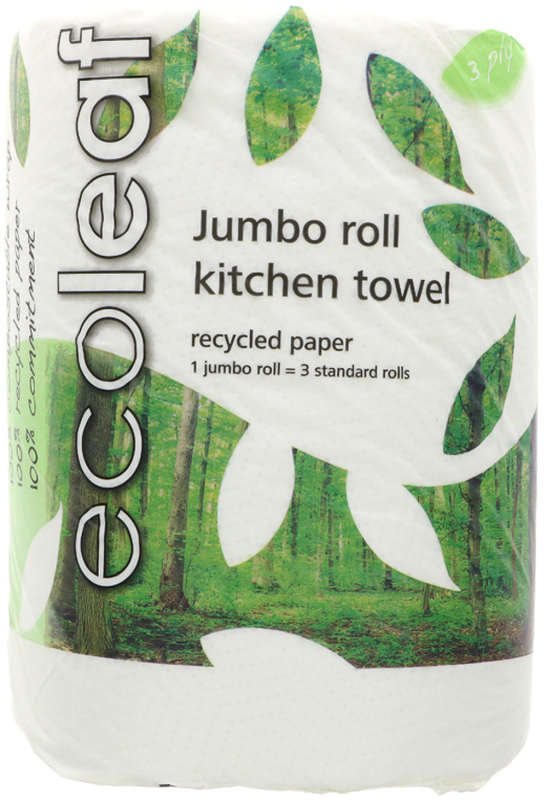 This jumbo kitchen roll contains 165 sheets per roll – thats 3 times as many sheets as your average roll. That means less trips to the shop to buy some more, it’s easier to store, more spills can be mopped up – and your carbon footprint will be reduced - everyone's a winner. 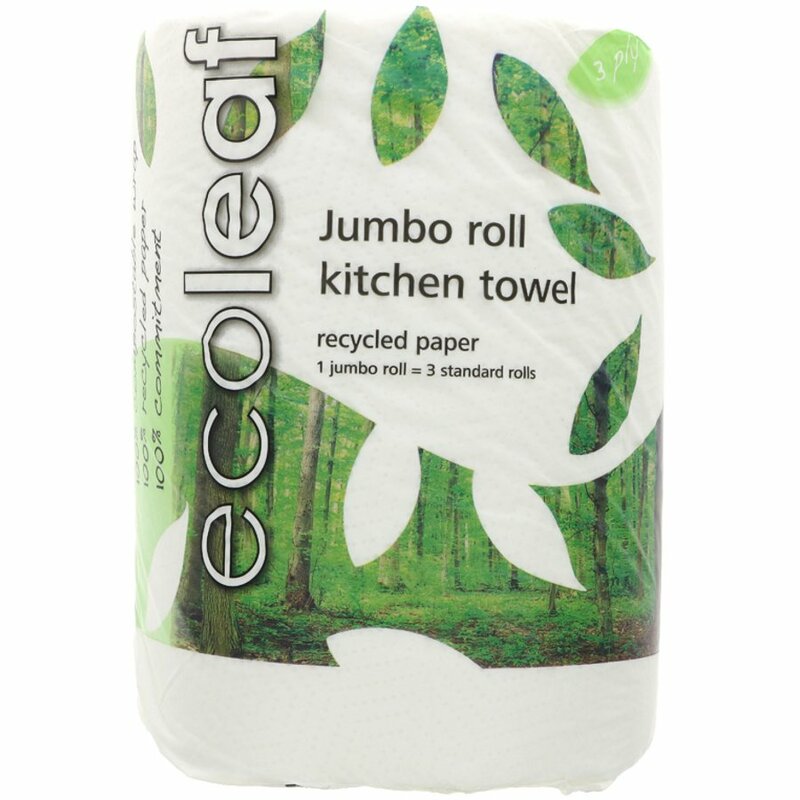 The Ecoleaf Jumbo Recycled Kitchen Roll product ethics are indicated below. To learn more about these product ethics and to see related products, follow the links below. My very favourite! Strong paper and a whole lot of it! I am repurchasing these because although the individual sheets are smaller than my normal brand they seem to be lasting me longer/holding more liquid etc. I am very happy with this purchase and can easily recommend. A: Hi, the whole roll is 6 inches (15cm) in diameter approximately. Robyn.